Fill out the form below to get your free quote. Alliance Pest Professionals is your "pet-friendly" pest control company in Roanoke, Floyd, Fincastle, Salem or surrounding areas. We think you will find that Alliance Pest Professionals approaches pest control in a manner that far exceeds the industry "norm". We are a family owned and operated pest control company that believes in having pride in what we do and yes, we are "Pet Friendly". If you live in Roanoke, Fincastle, Salem or surrounding areas, give Alliance Pest Pro's a call today and find out for yourself the value you can receive from a small local company that puts their customers first! 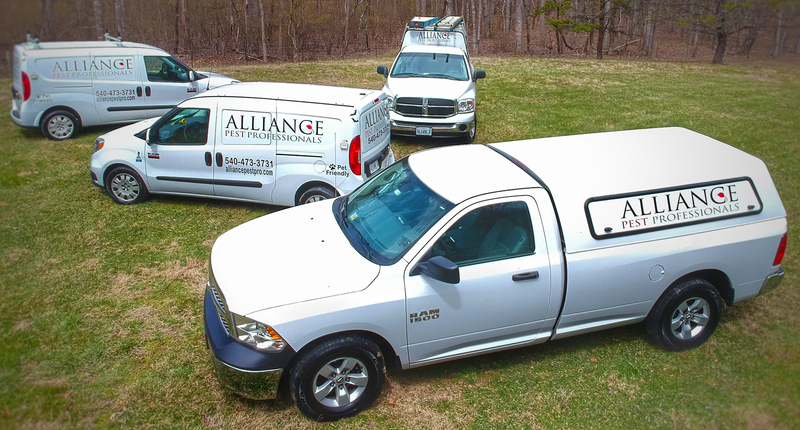 You can count on Alliance Pest Professionals in Roanoke as your go to source for all pest control services. Alliance offers residential monthly service for roughly 25% less than our competitors, but you will receive 75% more value in your service! This is how we do it!